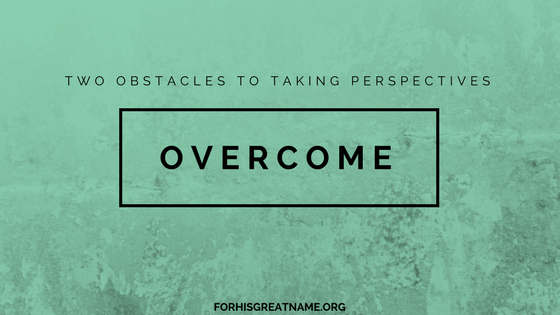 Before I took the Perspectives class, I had many objections about why I couldn’t attend. Now, don’t get me wrong, I really wanted to go. I just thought that there were too many things blocking me from taking the class. Well, I found out that I was able to overcome those obstacles and my life was changed by taking that class. So, there is some advice from my dad. Now, being a high school freshman, I have taken the course and I say YES. Take Perspectives (even if you’re still in high school)! It will change the way you look at the worldwide movement of God and maybe even alter the course of your life. Ok. I have to be honest with y’all. The Perspectives course takes a lot of time and effort. There are readings every week and you are also required to attend a live class once a week. I, personally, didn’t think that I had the time to do all of the work. Now, for some people that is a legitimate concern. You might have a full-time job. You could be a stay-at-home mom. You might be a high school junior with a ton of homework. But, I found that there is a way to overcome this barrier. The first is to set a time to do your readings each week. Each Sunday, after my younger siblings went to choir, I would sit down and read. My dad found time to read while he waited for my sister to finish her bible study which he drove here to every week. However, for me, I had to give up some of the things on my schedule. Normally, I would go to choir with my siblings. But, in order to have enough time to do the readings, I had to resign for that semester. Also, my highschool bible study was at the same time as class. So, I had to give that up, too. Was it worth it? I believe that, yes, it was. So, what do we do with this? Well, if you were on the fence about taking Perspectives, I hope that this post has helped you to finish jumping that fence. But, if you weren’t planning on taking it, maybe now you are interested in finding out more. However, if you aren’t ever planning on taking the class, I hope that you can at least see how important it is and encourage others to go. For the last 15 weeks, every Tuesday night, I have had the opportunity to attend a class called Perspectives. Perspectives has been extremely crucial in my Christian walk. Perspectives has taught me so much about how God is working around the world and how He wants us to partner with Him in reaching the ends of the earth with His wonderful, too good to be true, news. Perspectives on the World Christian Movement is a class for people of all ages who are interested in what God is doing in the world. Perspectives is a fifteen-week course designed around four vantage points or “perspectives” — Biblical, Historical, Cultural and Strategic. Each one highlights different aspects of God’s global purpose. Interested in learning more? 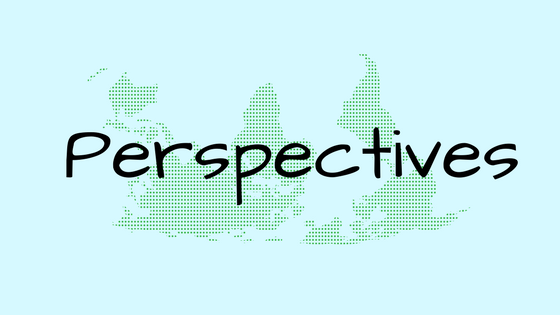 Take a look at the Perspectives website. 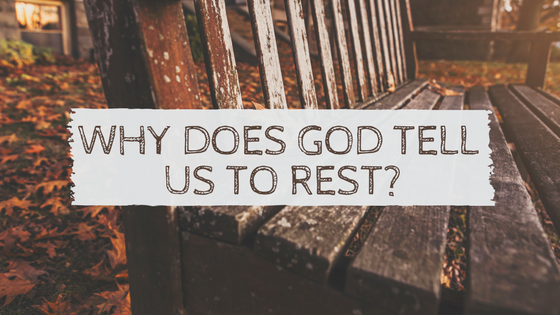 Why Does God Tell Us to Rest? Chores, school work, social media, sports. We live in a busy world. There are always places to go, things to do, and people to hang out with. It can be extremely easy to always be doing something. But, always running about can have some unwanted effects. When we have our day jam-packed with things to do, we never (or hardly ever) have the time to sit down and revel in the glory of what God has done for us. We spend all of our time on busyness that we never have time to enjoy the little day-to-day gifts that God has given us. For example, I spend a lot of time working on school. Unfortunately, as a result, I do not always take the time I should to be with my precious family. We lose the opportunities that God has given us. God has placed certain people in our lives who He wants us to minister to – the neighbor next door who doesn’t know the Lord to the struggling youth who sits across from you in class. If we stuff our schedules so full that we only have time for what we want to do, where is the time for the things that God asks and commands us to do? 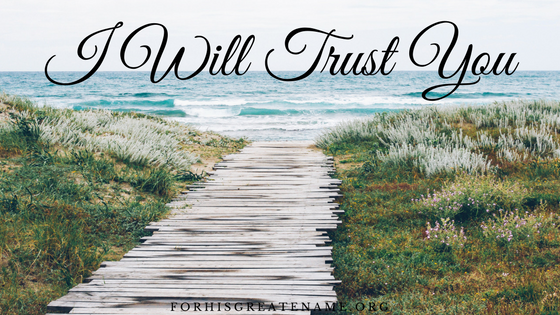 We need to be open and willing to change or empty some of our schedules in order that we might do God’s will. Burnout: The physical or mental collapse caused by overwork or stress. God created humans to rest. And, if we are constantly active, we will burn out. We will no longer have the energy or motivation we need to keep going. One way to keep ourselves from burning out is to plan our schedule wisely. This is where we need to remember that we can’t do everything. No matter how much we would like to help everyone we can’t because we aren’t God. We are limited and finite. Another opportunity that God gives to rest is Sunday. On Sunday, we can go to church, worship God, and be filled with the energy to show His love to others throughout the next week. Also, it is alway beneficial to cover ourselves with God’s Word each day in order to do His work well. So, if you find that you are burning out, rethink your schedule, and make sure to take the time to immerse yourself in God’s word. Today I would like to introduce y’all to my first guest poster – Grace. Grace M. is a writer, piano-player, sunset-lover, and baker. She enjoys playing volleyball, eating sour gummy worms, and spending time with her family. 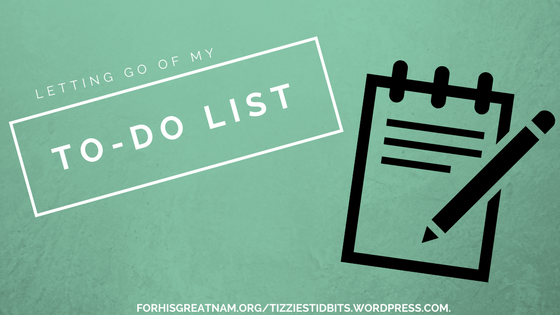 She blogs about Christian living at Tizzies Tidbits. I am one of those people that has an organized-in-theory kind of life. One of the organized-in-theory parts of my life is my to-do list. In fact, I may have To-Do List Syndrome. For instance, writing this blog post is on my to-do list; and as soon as I finish it, I’m going to cross through this task and do a mental happy dance. But I make to-do lists too often and don’t complete the tasks on my to-do lists often enough. I have so much to do! I have to register for classes, practice piano, write a new article, and the list goes on. There’s always more to do. As soon as I feel satisfied because I finished a big job, I realize there are six more “big jobs” to do. I don’t have the perfect solution to make your life less hectic, but I do know that you can be satisfied with work because it is actually good for you! “But we urge you, brethren, to excel still more, and to make it your ambition to lead a quiet life and attend to your own business and work with your hands, just as we commanded you, so that you will behave properly toward outsiders and not be in any need” (1 Thessalonians 4:10b-13, NASB). “For even when we were with you, we used to give you this order: if anyone is not willing to work, then he is not to eat, either. For we hear that some among you are leading an undisciplined life, doing no work at all, but acting like busybodies. Now such persons we command and exhort in the Lord Jesus Christ to work in quiet fashion and eat their own bread” (2 Thessalonians 3:10-12, NASB). It’s good to have work to do! It provides purpose (and food) in your life. If you have too much time on your hands, it’s easy to give into sin, like Peter mentioned in 2 Thessalonians. God graciously gave us work so that we wouldn’t be bored at home all day and so we could have food on our tables and roofs over our heads. It’s easy to daydream about a long day at home with nothing to do. However, a lifestyle like that would become boring very fast; and we’d probably feel depressed and purposeless. But that’s only one end of the spectrum. What about the other end? Is there such a thing as putting too much emphasis on work? Of course! I think most of us give ourselves too many tasks to complete. If you’re anything like me, you shoot high but usually end up low. I set so many goals for a day, but I only end up meeting a few of them. Then I feel like I’ve wasted all of my time (and usually I have wasted a large part of it) and that I’ll never get anything accomplished. It’s hard to find the balance between having too many goals and not having enough goals, but this balance is important. Ideally, you’ll be busy enough to feel purposeful but not so busy that you’ll constantly feel stressed. Don’t worry. You’ll find the balance. It may take time to find it, but the balance is there. To-do lists are not evil. In fact, they can be incredibly helpful. Checking off a task brings satisfaction. Just remember that making your goals too important is sinful. Our most important goal should be to bring glory to God by completing the tasks He sets before us. God gave us work for a reason. We struggle with it because of sin, but it keeps us busy. It gives us purpose, but working ourselves to death is silly and exhausting. Set realistic expectations for yourself, and if you don’t reach every one of your goals, shake it off and work on it tomorrow. “Have you heard about how Jane tripped at school today?” Sarah asked her friend in the hallway as they walked to science class. “She looked like a little fish. I wish that I had taken a video of it. I bet that she won’t walk down that hallway for months!” Sarah’s friend giggled and they continued to retell the event in even more detail than before and not without a few additions of their own. Little did Sarah and her friend know that Jane was walking right behind them and heard every word that they said. What they also didn’t realize was that Jane did not just brush their words off. But, they sank deep inside her and made her feel silly and foolish. That little story hurt Jane a great deal. Words. They are powerful. With words, we can build each other up, but we can also tear one another down. That is why it is important that we encourage one other with our words – not gossip and lie about one another behind each other’s back. But no human being can tame the tongue. It is a restless evil, full of deadly poison. With it we bless our Lord and Father, and with it we curse people who are made in the likeness of God. From the same mouth come blessing and cursing. My brothers, these things ought not to be so. Does a spring pour forth from the same opening both fresh and salt water? Can a fig tree, my brothers, bear olives, or a grapevine produce figs? Neither can a salt pond yield fresh water.